For nearly a quarter century, the Raynor Group has represented quality and customer service in office seating. The Raynor Group, founded in 1979, started as a marketing organization for leading office seating manufacturers. 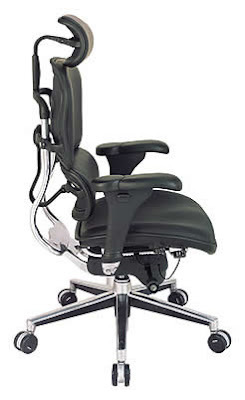 Nowadays, the Raynor Group is responsible for manufacturing, marketing, sales and distribution for a select group of office seating products that are manufactured and sold worldwide. Years of experience in the office furniture industry taught the Raynor Group how to build commercial quality office seating, but their meticulous research in the human form and how it reacts to repetitive work-related movements gives them the edge in developing chairs that meet the real needs of people, promoting productivity, comfort, good health,and safety. The company's diversified distribution channels ensure that no matter how large the order or remote the location, people will experience the fastest and most efficient order fulfillment in the industry. The Raynor Group is committed to the highest standards of quality, accountability and service. The company's product line of office seating is chosen based on excellence in design, durability and ergonomic efficiency. The Raynor Group focuses on a limited number of retail customers in order to provide customized solutions that completely meet your needs. With cumulative sales of over $1 billion, the Raynor Group is one of the most successful manufacturing, marketing and distribution companies in the United States.